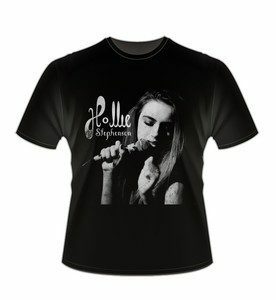 It all started when a friend of Hollie Stephenson’s mum tweeted Dave Stewart a link to a YouTube clip of the singer performing Stone Tears in Camden’s Bar Vinyl (remember: her first song, her first gig). Within five minutes Dave replied. Within a couple of months, on his next trip back to London from his adopted home in Los Angeles, he met Hollie and her mum. Stewart and Hollie and her mum kept in touch. He was keen to work with her, but no one was in a hurry. Three years later, the Stephenson’s and Stewart were ready. Early last year, he invited them to his studio in LA. The recordings were also filmed, as part of a forthcoming BBC documentary, Lost Archives Of 17 North Parade. It’s directed by Mark James, who had seen Hollie live in London and, in Stewart’s words, “flipped”. The film tells the story of the legendary Jamaican artists who recorded in this tiny studio, and the rediscovery of the audio tapes of their recordings. As part of that project, Hollie “duetted” with the late Dennis Brown – on a track, When You Get Right Down To It, that he had recorded, but never completed, when he himself was 16 too. Late last year, having left school, Hollie went back to LA. In a two-month period she and Stewart finished her debut album, including co-writing one song, the string-flecked, soul-gospel gem Sunday Morning. They also shot a video for Broken Heart Strings, a back-to-black tearjerker. 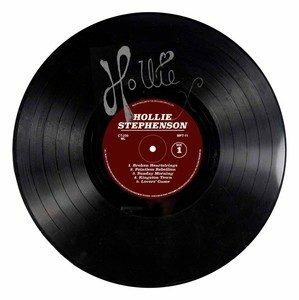 Hollie also played some LA shows, including a rave-reviewed spot at Hollywood’s Hotel Café. “A momentous night, the debut of a shining new musical star,” wrote American Songwriter. “Hollie proceeded to enthrall the crowd with her singularly soulful songs, commanding the big band like a seasoned soul diva. It was amazing to see, and to hear, and to register that this is a 16-year old girl we are experiencing, yet as vital and inspirational as the best of the best.” High praise indeed.